Highland Capital Management Tower Scholar Evan Snyder ’19 spent a semester conducting research for the City of Dallas as part of his practicum through the Tower Scholars Program. We talked to him about his work and about his time abroad in Rwanda. What was your favorite part of your practicum with the City of Dallas? My favorite part of my practicum with the City of Dallas was getting to know more about the city and its needs. I got to learn about several different neighborhoods and about the history of the city that has led it to be segregated along lines of race, class, and health. One of my recommendations to the City was to join the C40, an international organization of megacities that have agreed to share data and help each other become more environmentally friendly. I had to justify this recommendation to the director of my department and explain the costs and benefits of joining that particular organization. Ultimately the City decided to pursue that recommendation and is currently working to join the organization. What is Dallas doing to become a more sustainable city? Dallas will be working to change the attitude within the City towards climate change to be recognized as a city that is actively moving towards greener, more sustainable operations. The intended result of changing the culture is increased involvement at all levels of the community in reducing emissions through decreased usage and more energy efficient appliances. The City will also continue to take steps within municipal buildings to decrease energy usage. Why did you decide to become a Highland Capital Management Tower Scholar, adding another minor to your list of degrees? I decided to become a Highland Capital Management Tower Scholar because I was, and continue to be, interested in the policymaking process. I knew the Tower Scholars Program would provide the classes and extracurricular opportunities I was looking for to learn how to approach policy problems. You spend last summer in Rwanda. What were you working on? 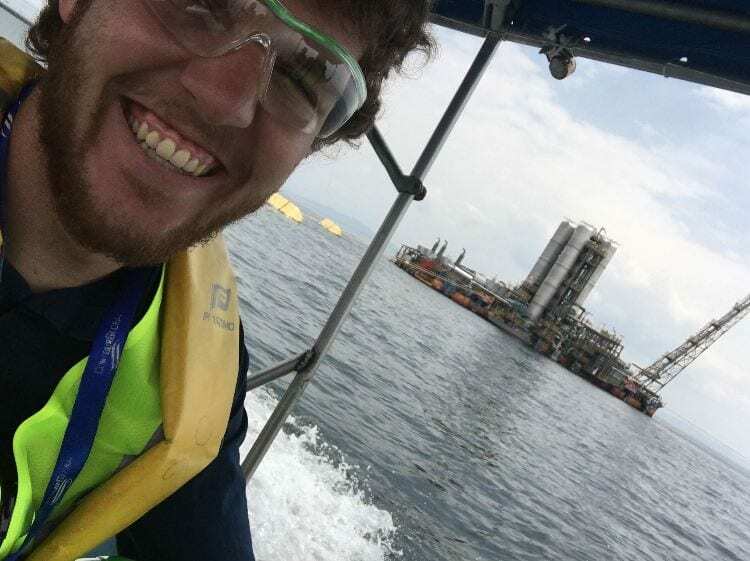 I went as a Richter Fellow studying the policy side of a unique natural gas resource there, Lake Kivu. Lake Kivu is the only place in the world where methane gas is being extracted from surface water and used to generate electricity. This research allowed me to combine my geology major with the knowledge I gained from the Tower Scholars Program to understand the technical and political issues at play in Rwanda and its energy production.